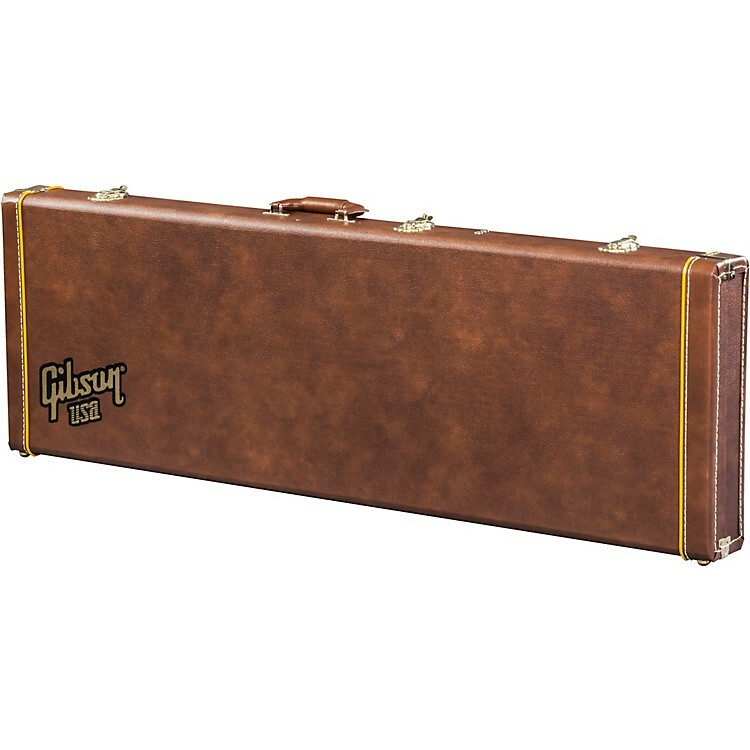 A rugged traditional rectangular hardshell case for the 2015 Gibson V Bass models BAV4 and BAV5, with Historic brown exterior and pink-lined interior. Classic hardshell protection for your V Bass, with a padded handle for easy carrying. Historic styling for a classic look with gold latches and stenciled with gold "Gibson USA" logo. Get the right case for your Gibson. Order today.